"Whatever I'm feeling for the day, I guess. I love wearing, right now, Native American patterns. Triangles. All that stuff." 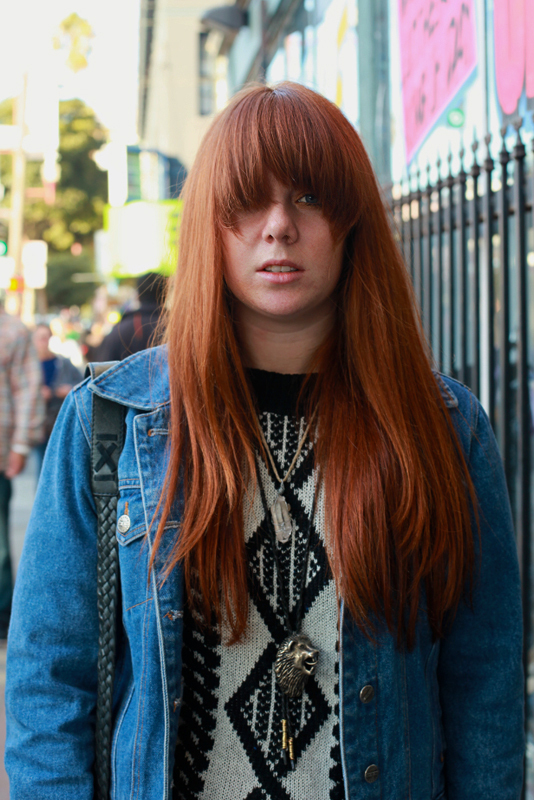 Kari's amazing red hair, her boots, pendants and that sweater all compelled me to approach her. An amazing photographer, this lady knows something about composition. Do you think the different length layered necklaces are by chance? 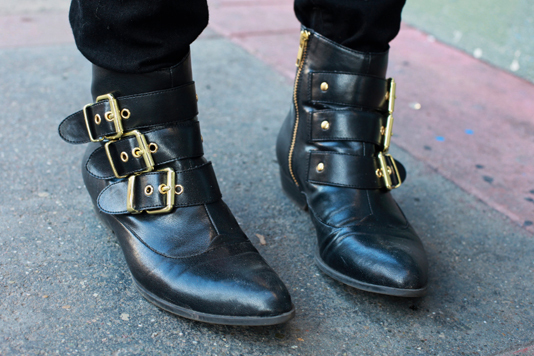 Kari scored some of the amazing Dolce Vita for Target boots.